While most of the editors I’m telling you about tend to be in the shadows, behind the scenes, I am thrilled to announce today that my hero Maxwell Perkins (you can read Part 1 and Part 2 of my posts about him) is about to be immortalized on film. And the lineup includes Nicole Kidman, Michael Fassbender, and Colin Firth (be still my heart! ), who is playing Maxwell Perkins. The film is an adaptation of the National Book Award-winning non-fiction work “Max Perkins: Editor of Genius” by A. Scott Berg, and focuses on Perkins’ (Firth) relationship with the (excellent, underappreciated) author Thomas Wolfe (Fassbender). A writer who poured words onto the page, Wolfe worked with and battled Perkins over the length of his books, with the editor cutting 90,000 words from his first novel “Look Homeward, Angel” (later restored in an updated version of the book, “O Lost!“). In time, Wolfe became resentful of what he perceived was Perkins receiving far too much credit for his work. But on his deathbed at the age of 37, Wolfe penned a tribute to Perkins who certainly helped make his career. GENIUS centers on the real-life relationship between literary giant Thomas Wolfe and renowned editor Max Perkins (Firth). Finding fame and critical success at a young age, Wolfe is a blazing talent with a larger-than-life personality to match. Perkins is one of the most respected and well-known literary editors of all time, discovering such iconic novelists as F. Scott Fitzgerald and Ernest Hemingway. Wolfe and Perkins develop a tender, complex friendship. Transformative and irrepressible, this friendship will change the lives of these brilliant, but very different men forever. 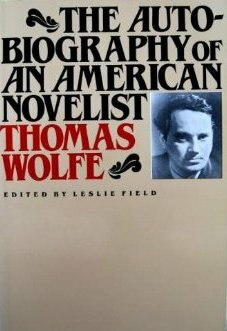 While I’ve discussed Maxwell Perkins’s relationship with the likes of F. Scott Fitzgerald and Ernest Hemingway, I haven’t delved into the complex relationship he had with Thomas Wolfe. In the book I’ve referenced in previous blogs and from which the film is being made, Max Perkins: Editor of Genius, Berg recounts the piles and piles of manuscript that Wolfe laid on Perkins–leaving Perkins to attempt to make a manuscript that could actually be printed, bound, and published. Max would ask Wolfe to cut, only to discover that Wolfe had cut a few words and then added several hundred more! During this time, however, I was sustained by one piece of inestimable good fortune. It was my good fortune to have for a friend a man who is, I believe, not only the greatest editor of his time, but man whose character is also a character of immense and patient wisdom and gentle but unyielding fortitude. I think that I may say the chief reason I was not destroyed at this time by the sense of hopelessness and defeat which these gigantic and apparently fruitless labors had awakened in me was largely because of the courage and patience of this man. I did not give in because he would not let me give in. . . . I was, myself, engaged in that battle, covered by its dust and sweat and exhausted by its struggle, and I think it is certain that at this time I understood far less clearly than my friend the nature and the progress of the struggle in which was I engaged. At this time there was little that this man could do except observe, and in one way or another keep me at my task, and in one way or another, in many quiet and marvelous ways he succeeded in doing this. However, by 1929, Wolfe’s passions had cooled but, unfortunately, Bernstein’s had not. The drama of this affair continued to affect Wolfe for many years. Sounds like a story made for Hollywood. But me? I’ll be watching it to see how Hollywood portrays my real hero, Maxwell Perkins.